As children we innately know how to play. Looking back on my own childhood in the 1980s I remember hours spent making dens with my brother, ‘visiting Narnia’ with my friend Hannah or chasing around the park which doubled as a castle/battle field/desert island with my friends. As a child play came easily. Somewhere along the way we lose that ability to let our imaginations carry us. We become self-conscious. Suddenly we begin to worry that our flights of imagination might make us appear immature or ridiculous in front of our peers. Yet; as we look back as adults we miss those carefree days and begin once again to seek the spirit of play. 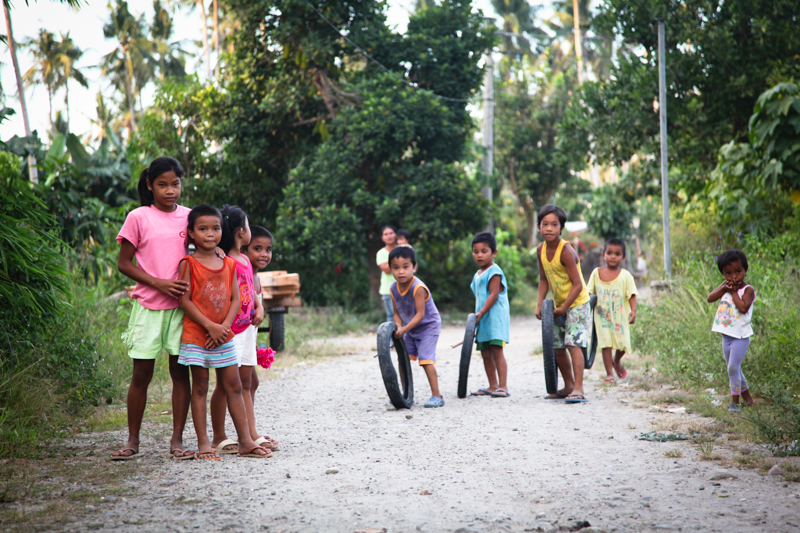 Children playing in Dulag, The Philippines. Racing hoops! I recently returned from a trip to the Philippines with All We Can. 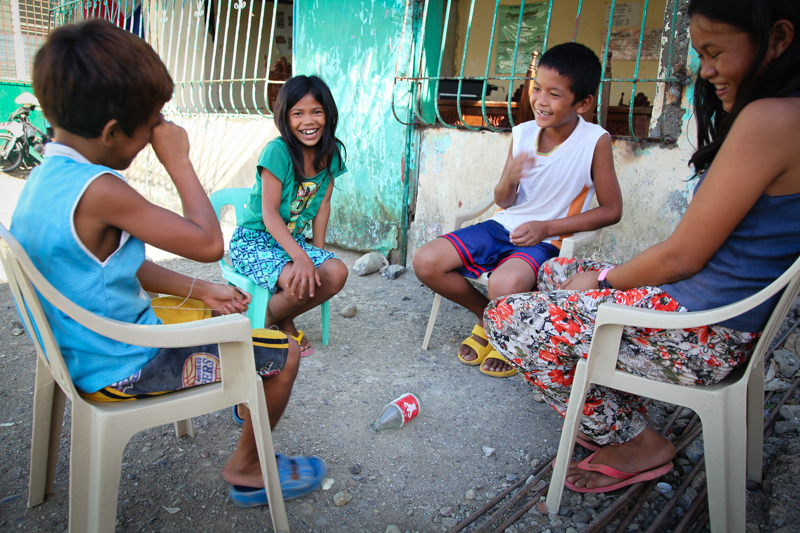 Visiting communities that were decimated just over a year and a half ago by Typhoon Haiyan (known locally as Yolanda) I was not expecting to see the kind of play and interaction amongst the children that I did. 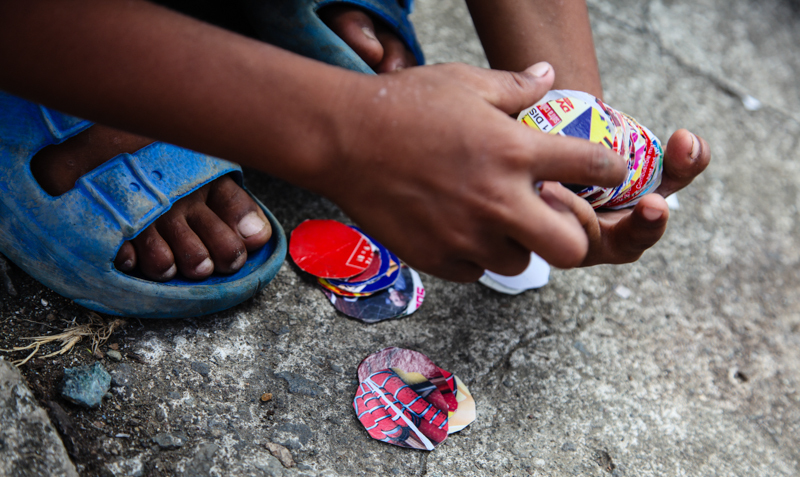 Every barangay (village) that we visited hosted children chasing hoops made of bicycle tyres, creating musical clapping games and using scrap materials to create intricate trading games. While I know many children still have nightmares about the storm that took their homes away there was also a real freedom in play. The photos that follow as part of this photo essay on play were taken while on a communications trip to The Philippines for All We Can but all views expressed are my own. However, I do love All We Can and was humbled by the work their emergency partners are doing in The Philippines and look forward to sharing that in coming weeks. In the meantime find out more about All We Can here. A very innocent version of Spin the Bottle – if it lands on you three times then you are out the game. Being played in Parina Barangay, Giporlos, The Philippines. ……. and then very seriously trade them with your friends. 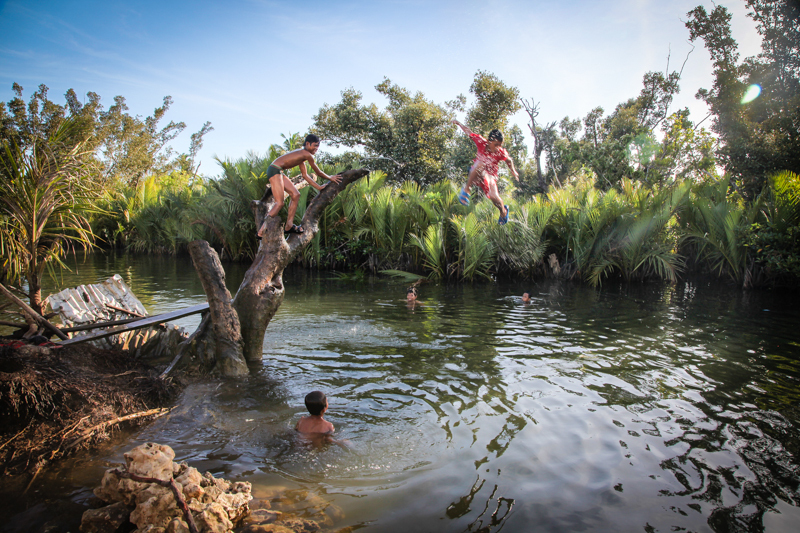 Play can come without the need for anything apart from the natural world around you as these boys demonstrate in Giporlos. 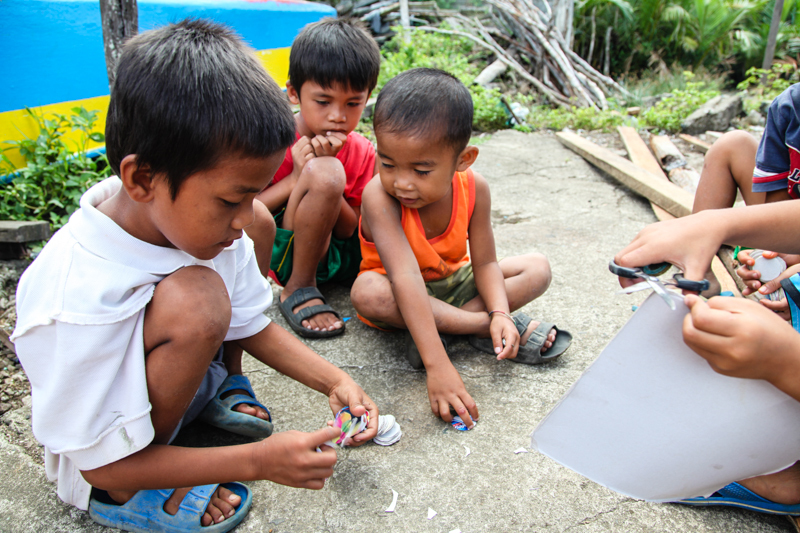 I was given the unexpected challenge of embracing play in The Philippines and only hope that when I have children they get to hold on to their imagination for as long as possible. Reblogged this on bears, goats, and strawberries. Congratulations on this really strong photo. I like it! The photos are from different locations in Samar and Leyte, Philippines. OH NICE ONE !!!! where are u from? I am a humanitarian photographer and communications manager. I currently work full-time for an INGO (international charity) but in the past have worked freelance for lots of different charities. I am not a journalist, I see my work as different because I always seek permission first from those I photograph. I would probably best describe my work as visual storytelling. This career does not pay well but as photographer Micky Smith says “I may only be scraping a living, but at least this is a life worth scraping.”. I love my work – a joy. All the best with your career. Do what makes you come alive! Your reply inspired me and probably helped me choose what I will study in the future, thank you 🙂 have you studied photography on uni? wow thanks and hope you love your class!